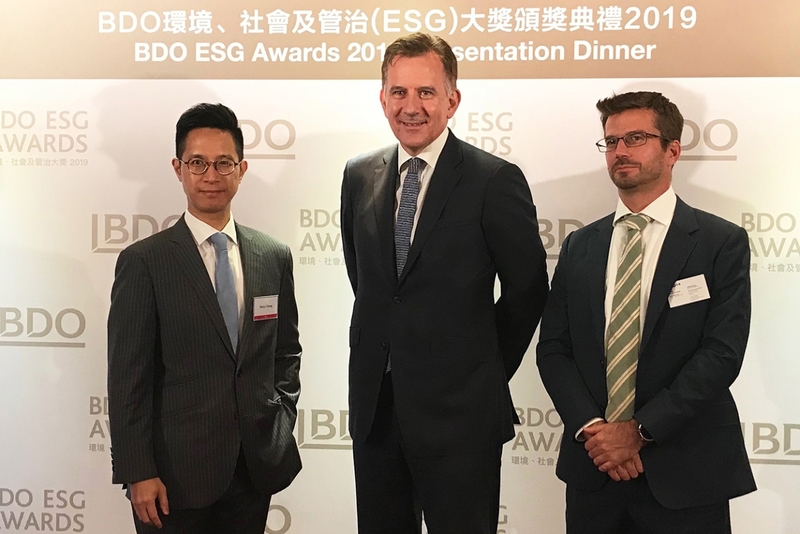 CLP Holdings Limited (CLP) has again demonstrated its lead in sustainability management and reporting after winning top honours at the BDO ESG Awards in Hong Kong. The awards, which recognise Hong Kong-listed companies for positive environmental, social and governance (ESG) impact, attracted entries from more than 60 businesses. 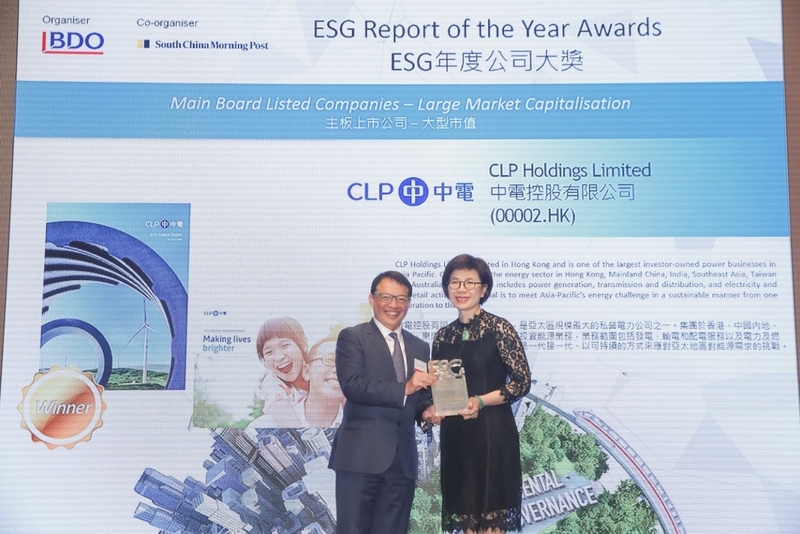 CLP topped Hong Kong’s large-cap companies by sweeping the ESG Report of the Year, Best in ESG and Best in Reporting awards in the Large Market Capitalisation category. The contest was organised by BDO, one of the world’s largest accountancy networks, and co-organised by South China Morning Post. “We are excited to see continued success in our ESG performance and reporting thanks to our dedicated colleagues. It is CLP’s commitment to continue increasing our transparency to stakeholders. The recognition not only demonstrates that we have been doing the right things, but also reflects the trust that our stakeholders have placed in us,” said Ms Quince Chong, Chief Corporate Development Officer of CLP Power Hong Kong Limited. Internationally, CLP was for the first time named in the FTSE4Good Index Series, designed to measure the performance of companies demonstrating strong ESG practices, in 2018. The company’s score in the MSCI ESG Leaders Indexes also improved from A in 2017 to AA last year. Furthermore, CLP’s rating in the Hang Seng Corporate Sustainability Index, which is assessed by the Hong Kong Quality Assurance Agency, was upgraded to AA- in 2018. CDP, the global non-profit organisation which evaluates companies worldwide on their environmental action every year, maintained CLP’s 2018 climate change score at B, among the best in Hong Kong. CLP also remained in the 2018 Dow Jones Sustainability Asia Pacific Index with a score of 69, showing stable performance. Building on a wealth of experience, CLP continued to excel in sustainability reporting and won recognition from the Hong Kong Institute of Certified Public Accountants (HKICPA) and the Hong Kong Management Association (HKMA). 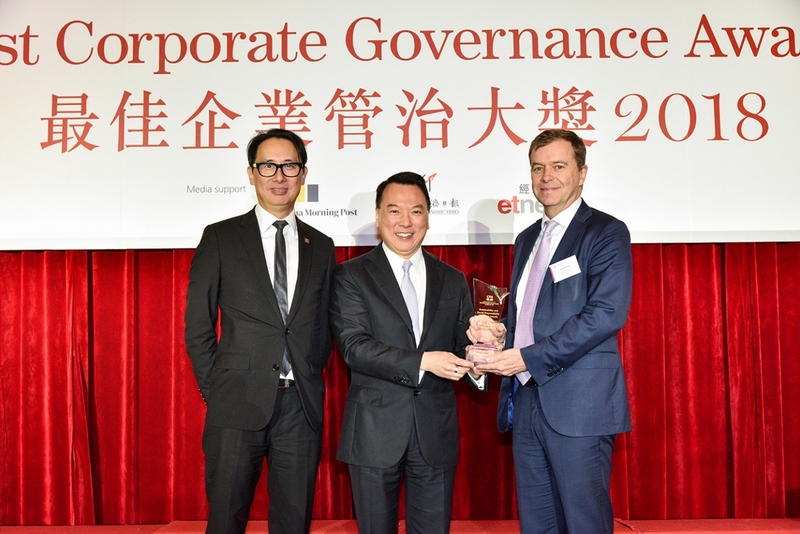 For the eighth successive year, CLP was bestowed with the Sustainability and Social Responsibility Reporting Award in the Hang Seng Index Category of the HKICPA Best Corporate Governance Awards. The company’s efforts in health, safety and environmental improvement, stakeholder engagement and collaboration, sustainable financing, vocational training, cyber resilience and sustainability reporting were recognised by the judges. 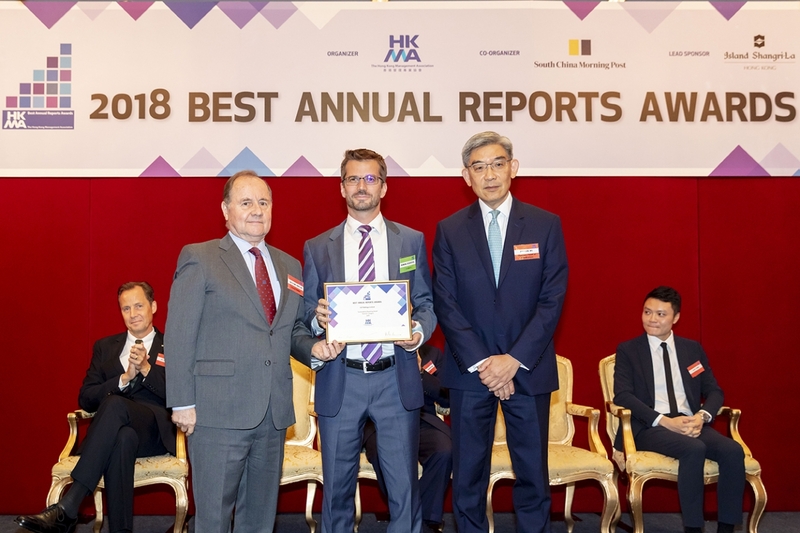 In the HKMA Best Annual Reports Awards, CLP received the Sustainability Reporting Award in the General Category for the seventh consecutive year. In the area of risk management, CLP was named the Best Risk Management Solution winner in the Adam Smith Awards Asia 2018, which recognise the Group’s implementation of comprehensive risk management oversight for its business activities.